Got four books in my mailbox. In the small town of Colden, Massachusetts, Libby Sawyer leads a quiet, predictable life. Yet beneath the surface, she is haunted by a secret. Newly arrived on American shores, Michael Dobrescu is far from predictable, and his arrival in Colden is anything but quiet. Michael's shocking claim to be the rightful owner of Libby's father's house immediately alienates him from the appalled citizens of Colden. Despite her own outrage, Libby is unwittingly fascinated by this enigmatic man who seems equally intrigued by her. As the court's decision about the house looms and the layers of mystery surrounding Michael's past are unveiled, Libby's loyalties are tested in ways she never imagined. This no-nonsense and encouraging book gives readers the keys to get their money under control and get prepared financially for the rest of their lives. In her warm and engaging style, Hunt takes everything that she's learned over the past twenty years and boils it all down. 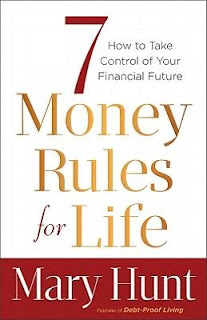 Presented in a conversational style and readable in a weekend, this book offers applications for each of the seven rules as well as practical advice for how to recover from past financial mistakes. These simple, unchanging, basic rules work in every financial situation, for every income level, and for every stage of life. There are many ways to describe Michael J. Fox: Star. Husband. Father. Activist. But one word encapsulates everything he stands for, everything he's accomplished: Optimist. Struck with Parkinson's-- a debilitating, degenerative disease-- at the height of his fame, Fox has taken what some might consider cause for depression and turned it into a beacon of hope for millions. Now, in Always Looking Up, he writes about the personal philosophy that carried him through his darkest hours, and speaks with others who have emerged from difficult periods with optimism to spare. With the humour and wit that dazzled fans and reviewers alike in his bestselling memoir, Lucky Man, Fox shows how he became a happier, more satisfied person by recognizing the gifts of everyday life. Elizabeth was visiting Upper Canada Pioneer Village with her grade 7 class when she stepped into Cook's Tavern and heard a man say, "Why it's young Elizabeth Frobisher." Only that wasn't her name. 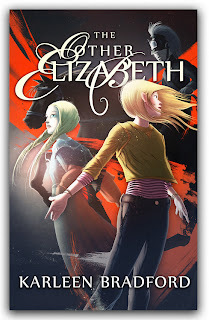 She was Elizabeth Duncan and...she had somehow stepped into the past. The year is 1813 and the battle between the newly formed United States of America and England for possession of the land called Canada was waging. One of the most decisive battles of the war, the Battle of Crysler's Farm, was about to take place and, stranded in the wrong time, Elizabeth Duncan was about to be an unwilling participant.